Prisoners defying orders to return to their cells have caused the evacuation of correctional officers from a unit of Souza Baranowski Correctional Center, a maximum-security prison in Massachusetts. Crisis negotiators engaged, and no injuries were reported. On Monday, police responded to a situation at the Souza Baranowski Correctional Center in Shirley, Massachusetts, where 51 inmates refused to be locked back in their cells. Correction officers were evacuated from the maximum security prison, and units from the Special Operations Unit were sent to the scene to assist with the situation. Hours later, things were back under control. After 9:00pm Eastern, Fallon released a statement reporting a "physical altercation between two high ranking members of a Security Threat Group (STG) in general population." "As a result of the altercation," the statement continued, "inmates were being returned to their cells in order to investigated what precipitated the altercation." That's when another physical altercation broke out between two other inmates, followed by all officers being pulled from the unit for their safety. "Upon the exit of the Corrections Officers, the unsecured inmates began destroying the housing unit," the statement read. "Sprinkler heads were broken off, camera systems were destroyed, the computer system in the unit was destroyed along with extensive damage to much of the remaining parts of the unit. 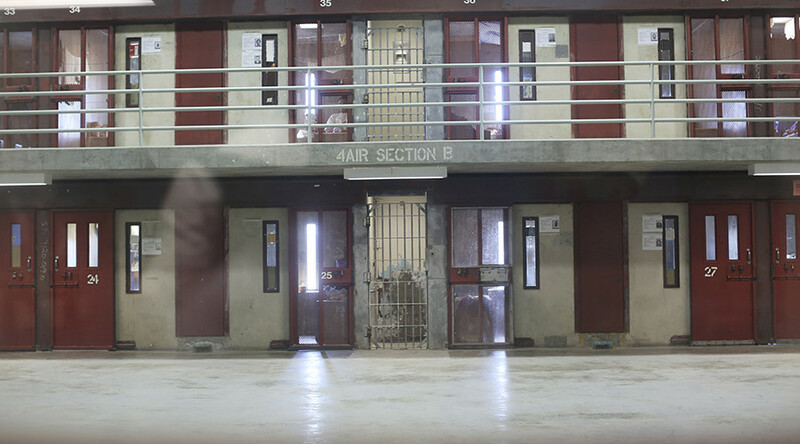 Inmates utilized fire extinguishers and other makeshift weapons in order to destroy furnishings, windows, etc." "At approximately 7 p.m., members of the Special Operations Unit deployed chemical agent into the housing unit and were able to successfully gain compliance of the inmates and secure the unit," the statement adds. "Each of the inmates was searched for weapons and examined by medical staff for injury." There were no serious injuries to report. "The inmates involved will be housed in various segregation units throughout the agency while the investigation is conducted," the statement said. Disciplinary actions will be taken, while criminal charges have yet to be confirmed or ruled out.